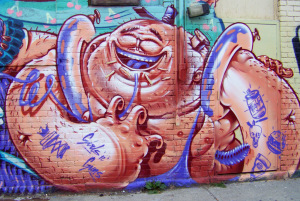 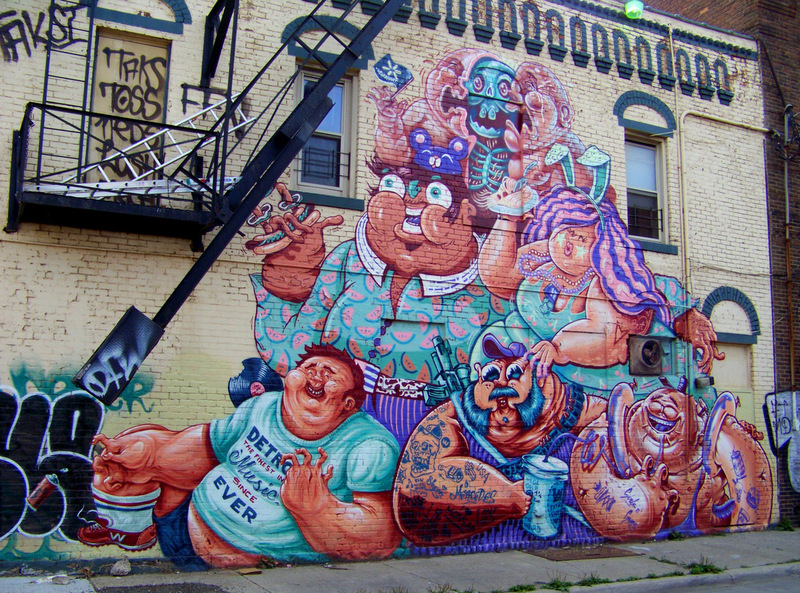 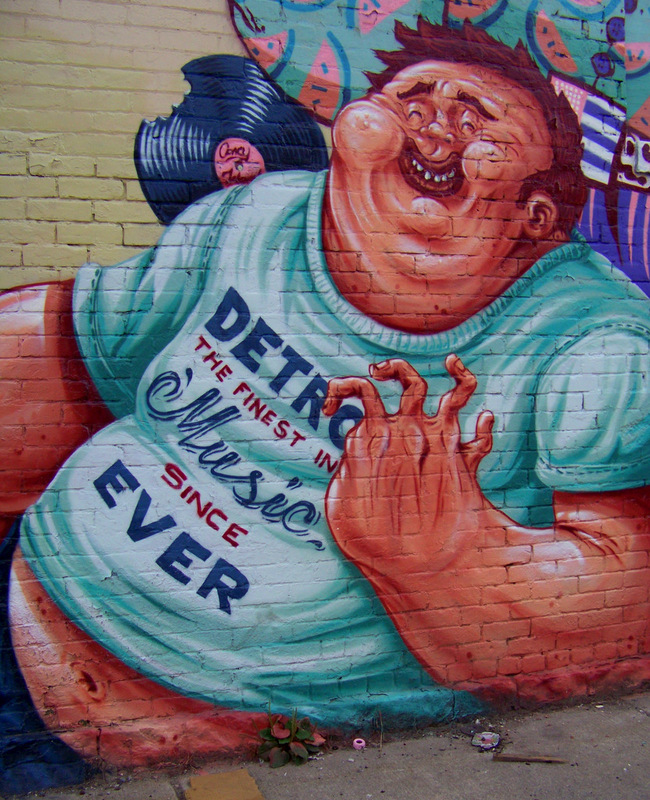 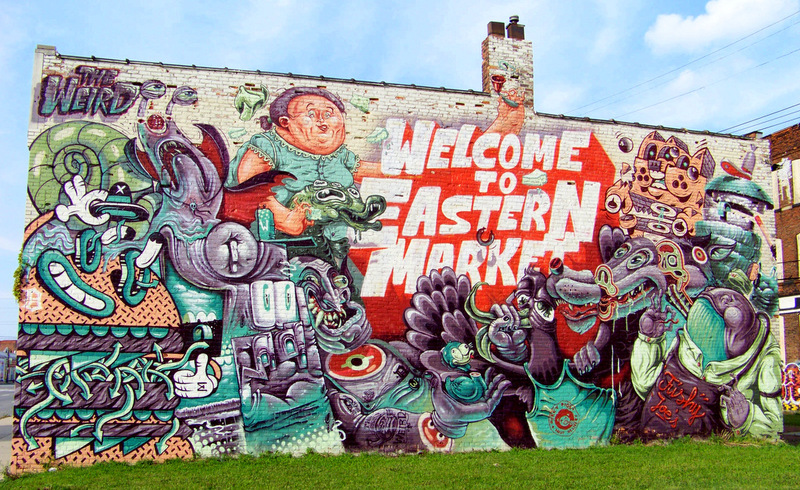 I Love Detroit MI | "The Weird" Invade Eastern Mkt. 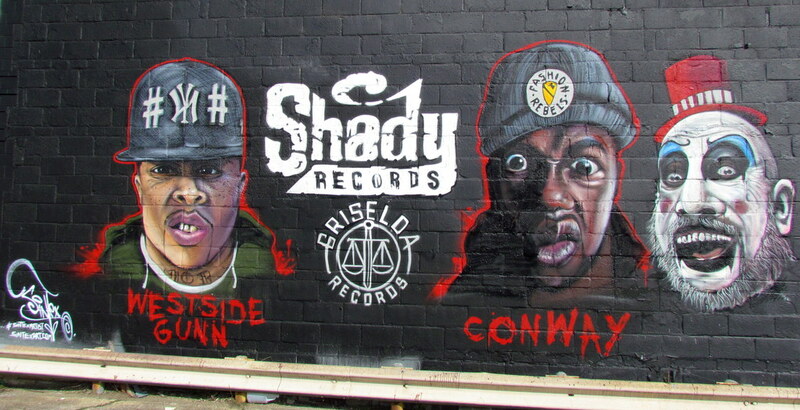 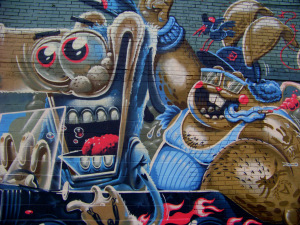 - 5 Murals!! 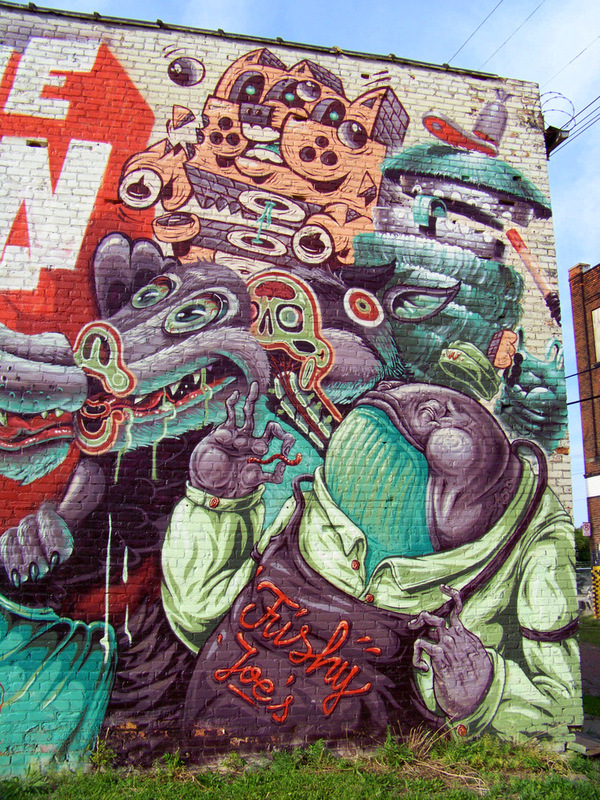 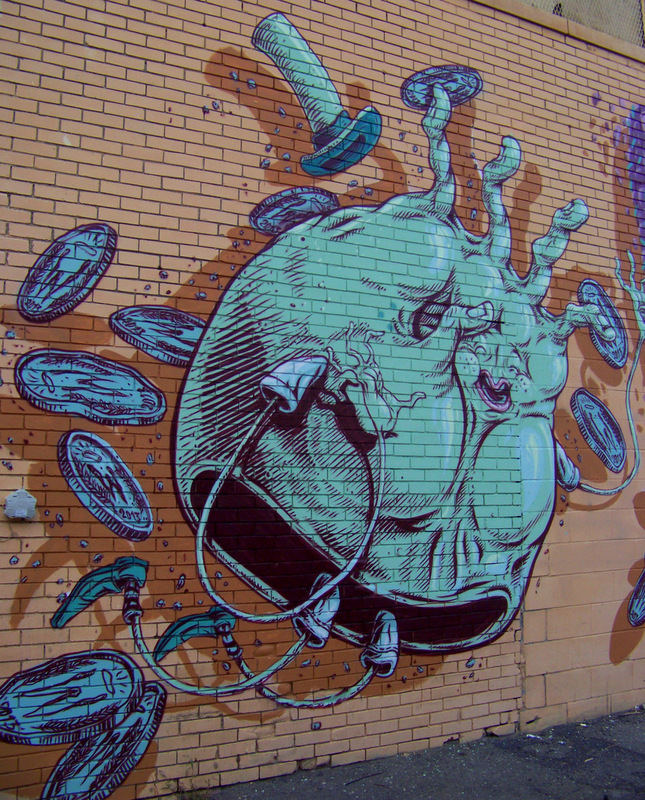 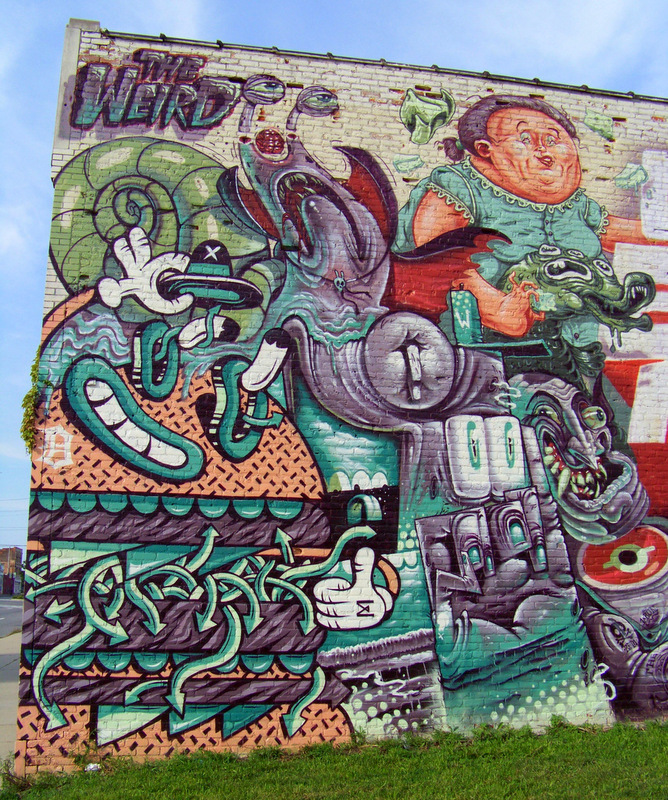 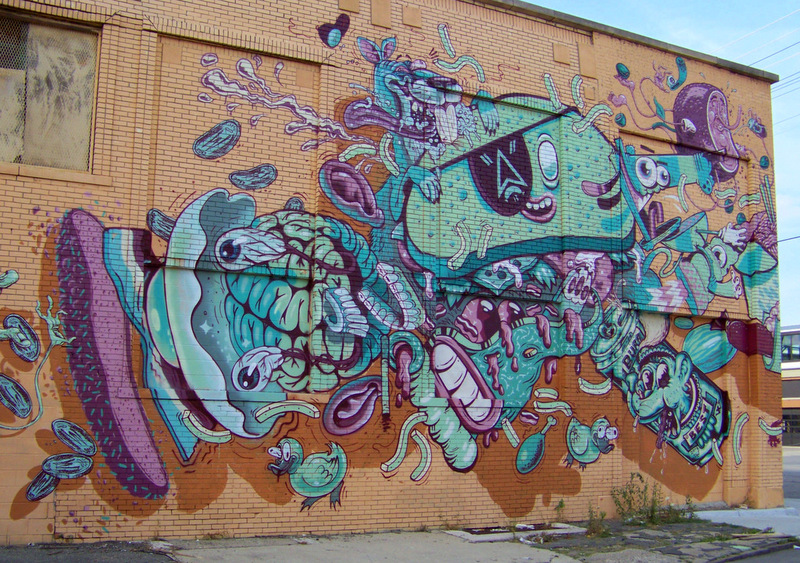 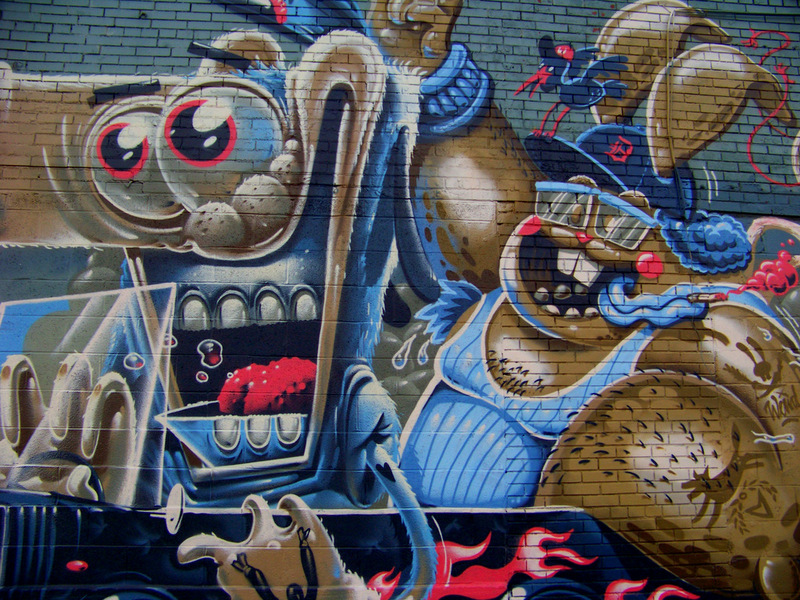 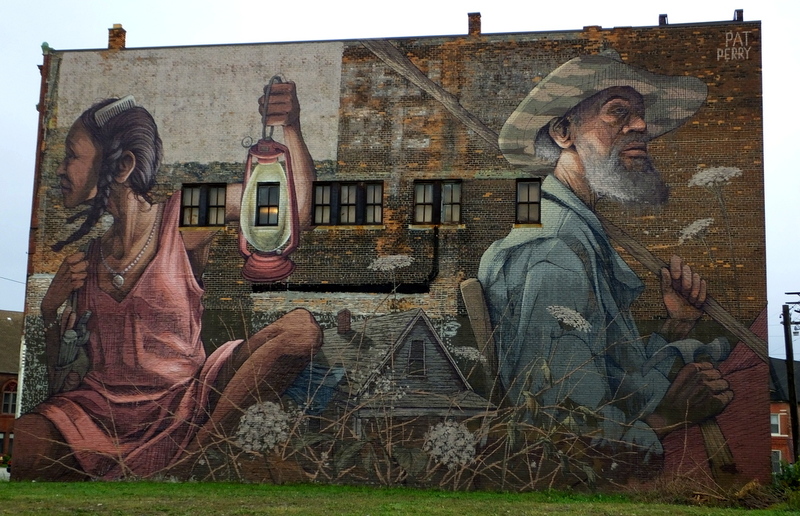 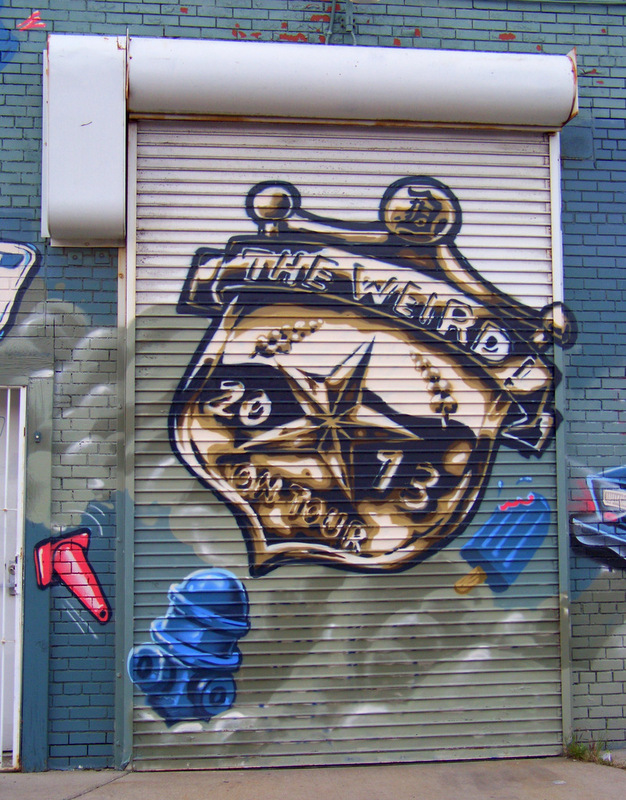 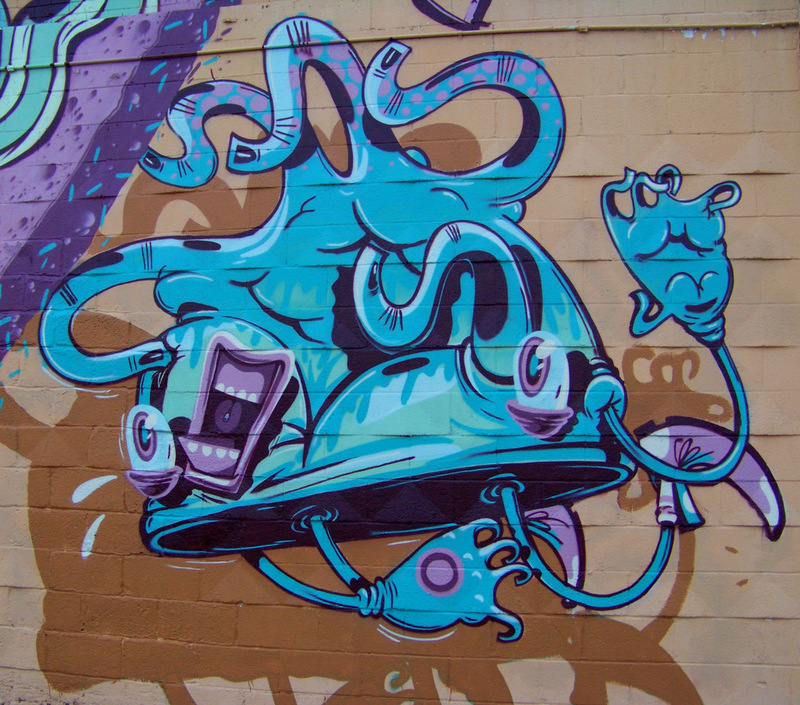 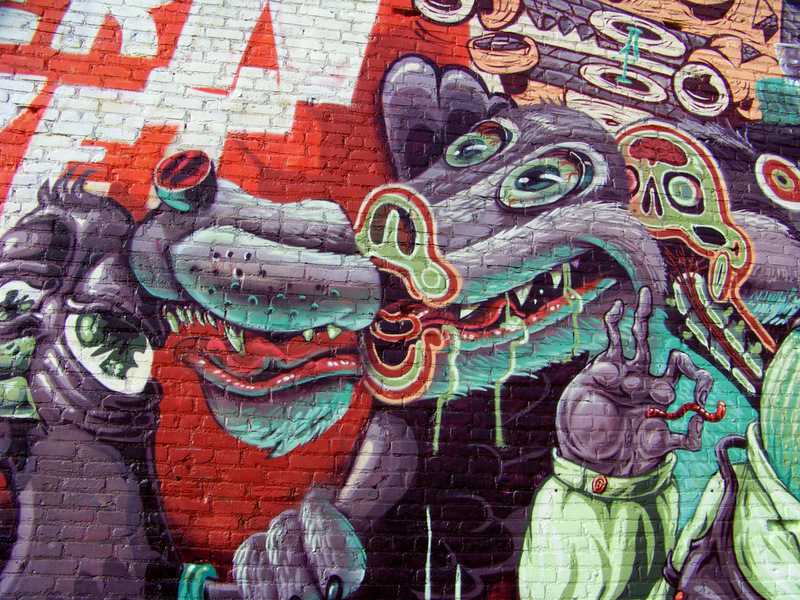 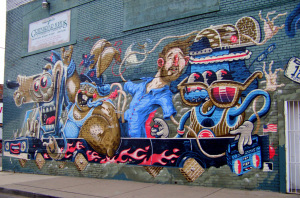 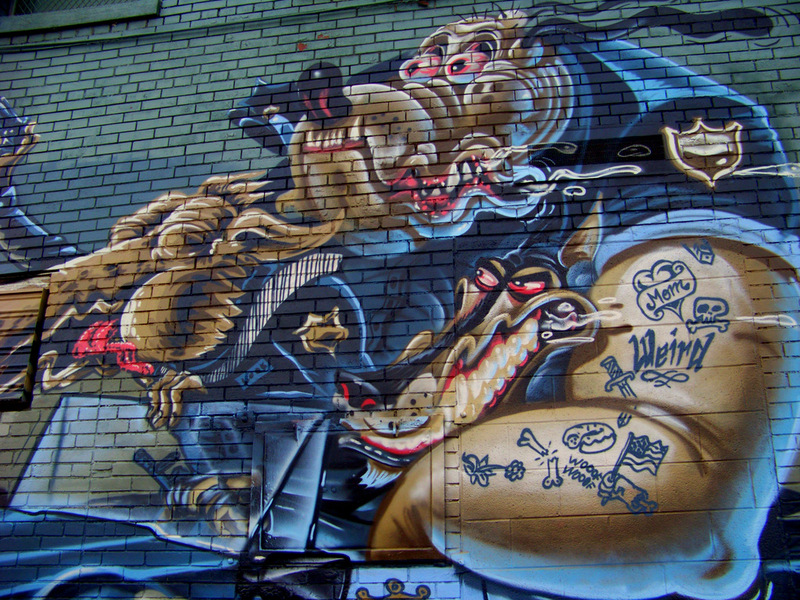 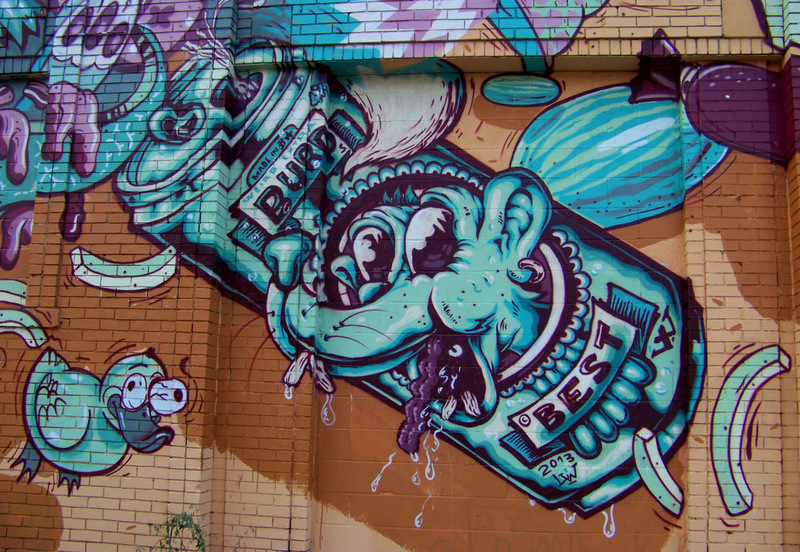 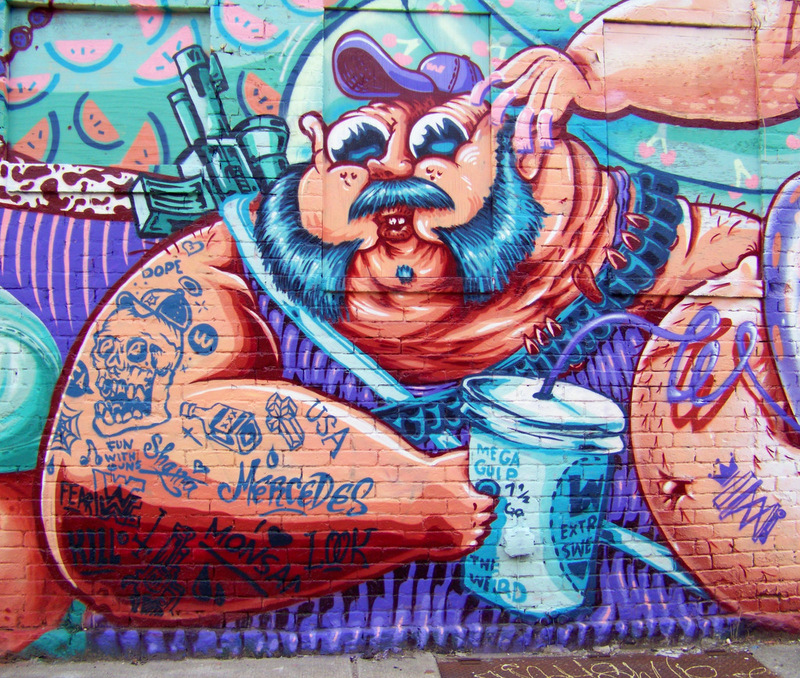 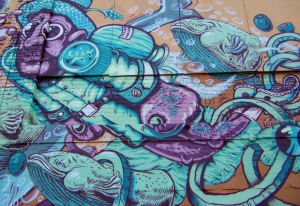 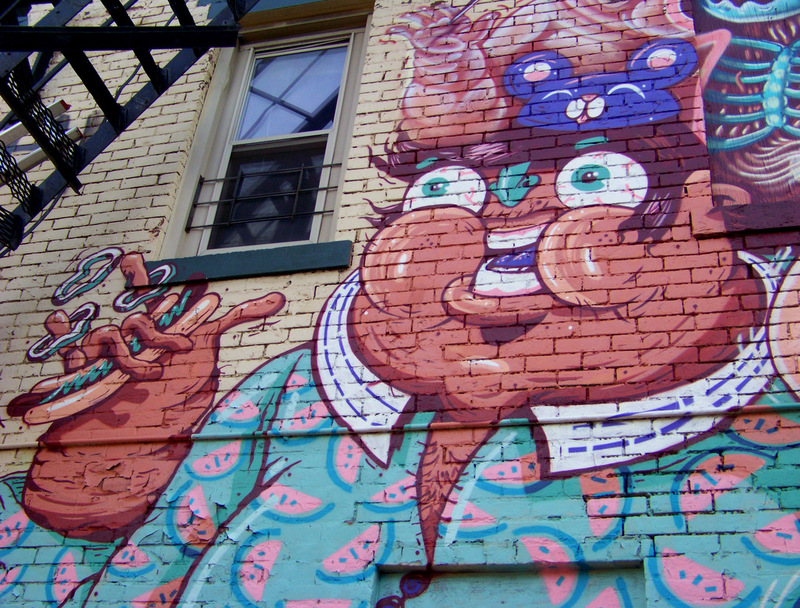 “The Weird” Invade Eastern Market with Five New Murals!! 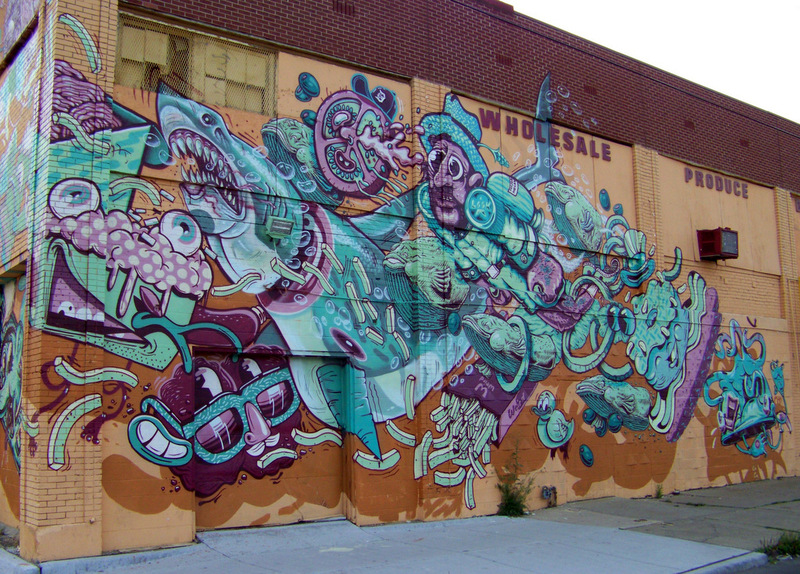 South and east walls of Motor City Produce at 2611 Russell Street. 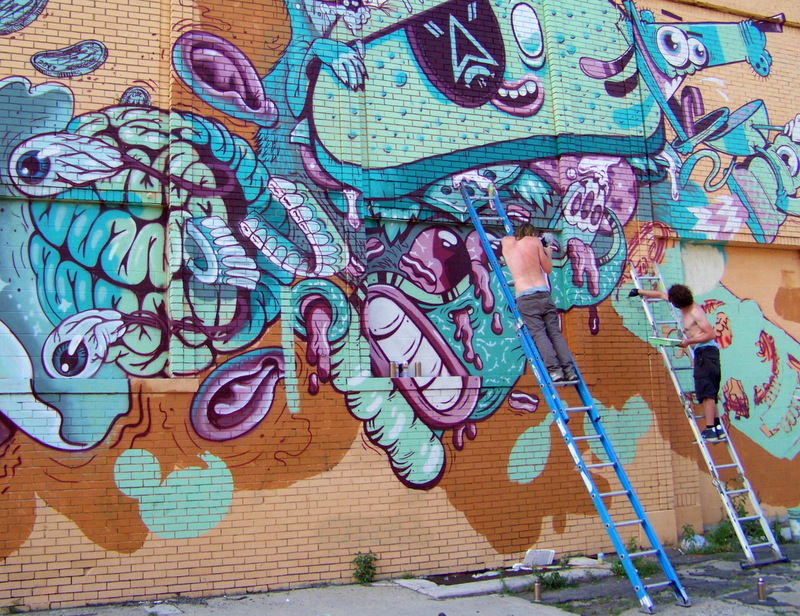 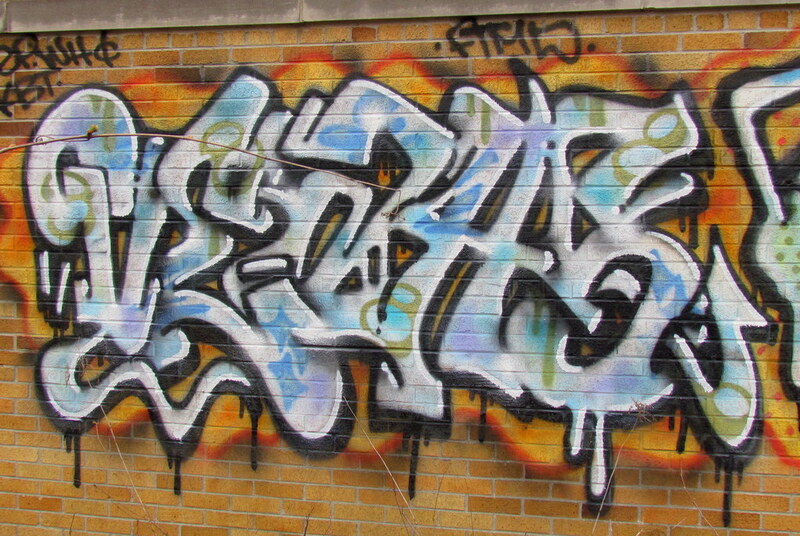 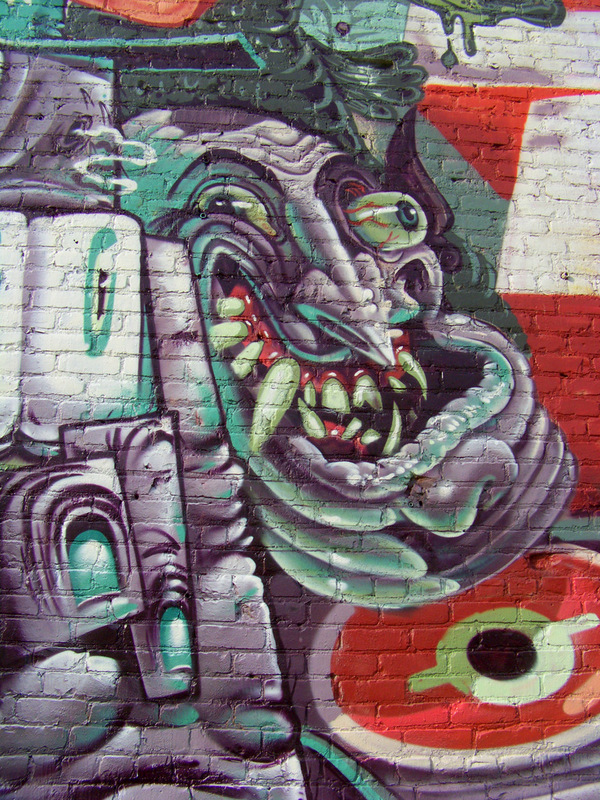 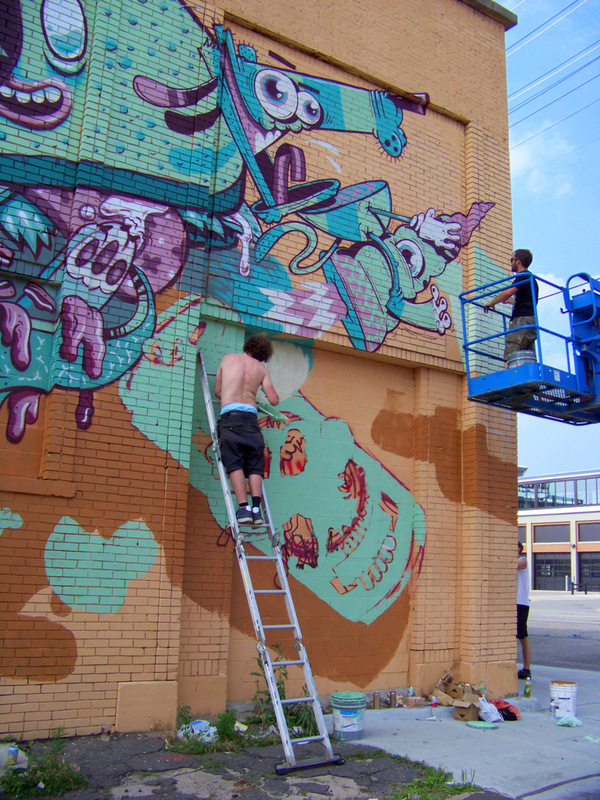 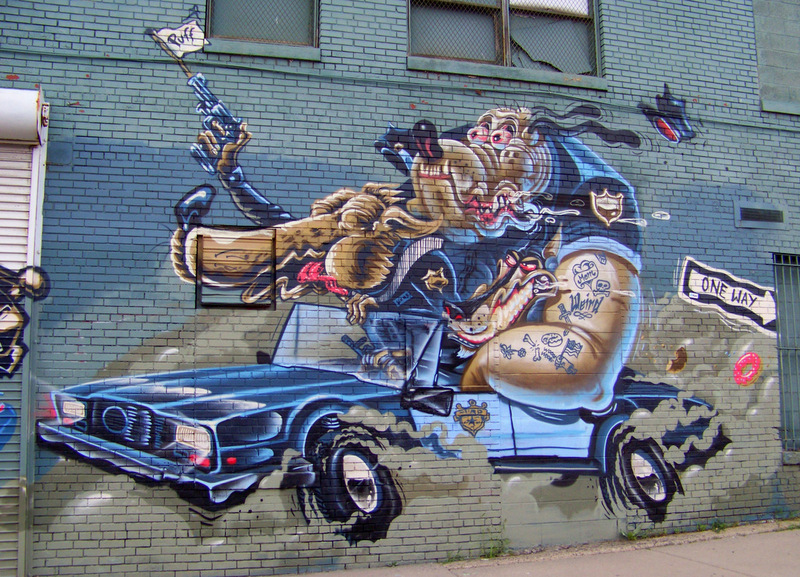 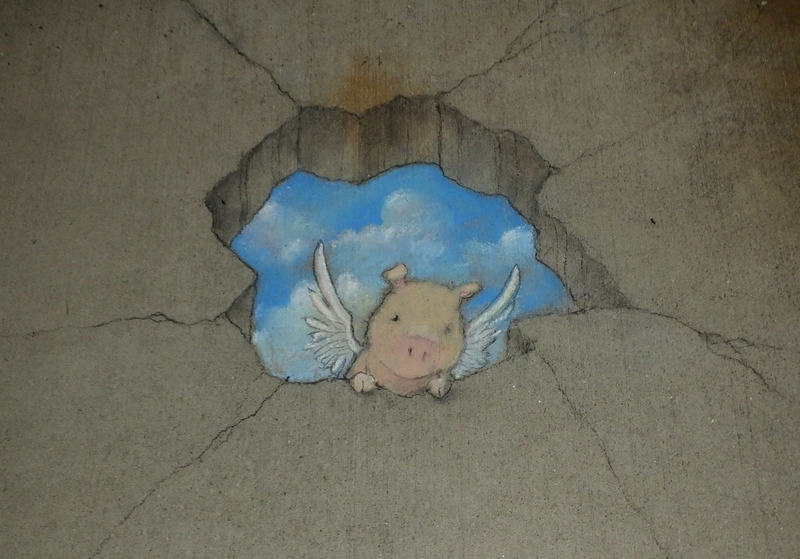 By members of “THE WEIRD” Crew, shown here while painting in early July. 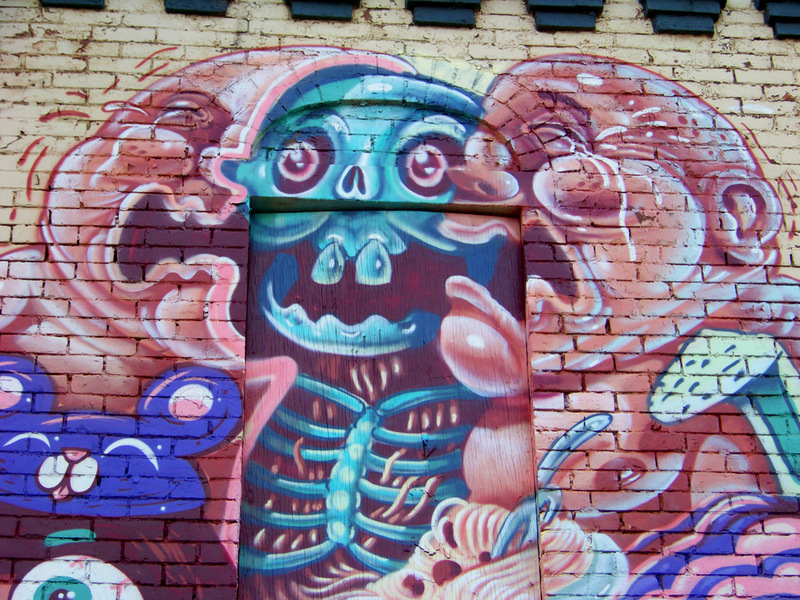 East wall of Butcher’s Inn at 1489 Winder Street. 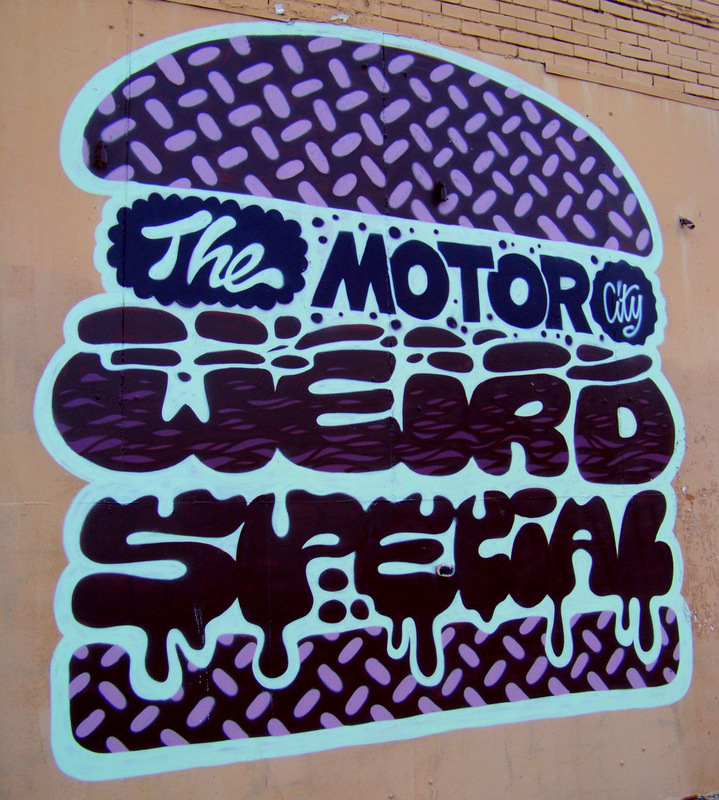 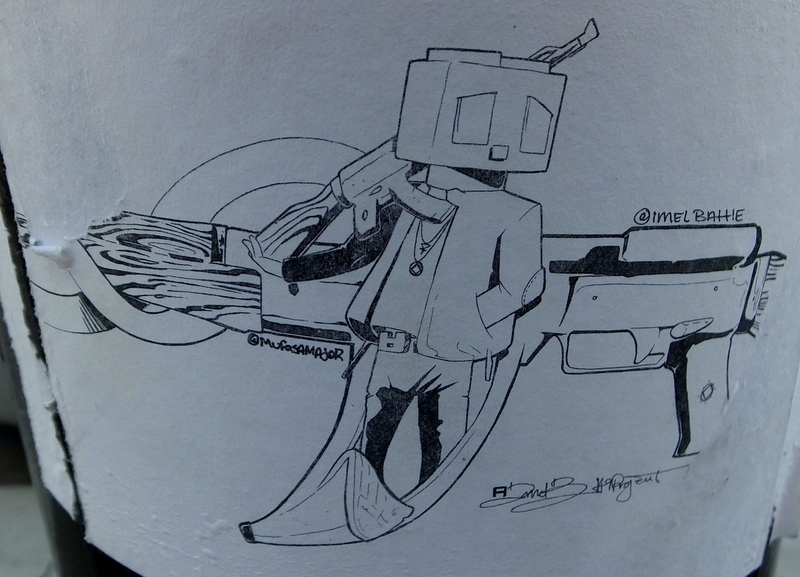 By members of “THE WEIRD” Crew. 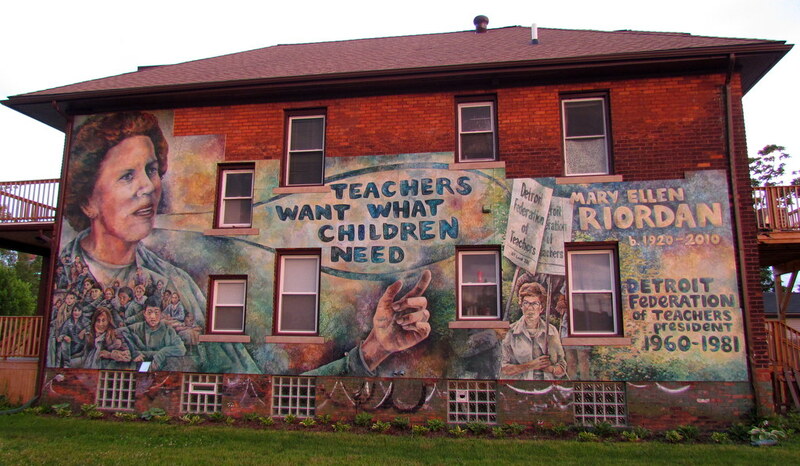 Southwest side of building located at approximately 1350 Gratiot, directly across the street from Historic Trinity Lutheran Church. Far southwest garage door of the old “Busy Bee Hardware” Warehouse on the service drive that runs parallel to Gratiot Avenue, just to the southeast, between Rivard Street and Russell. 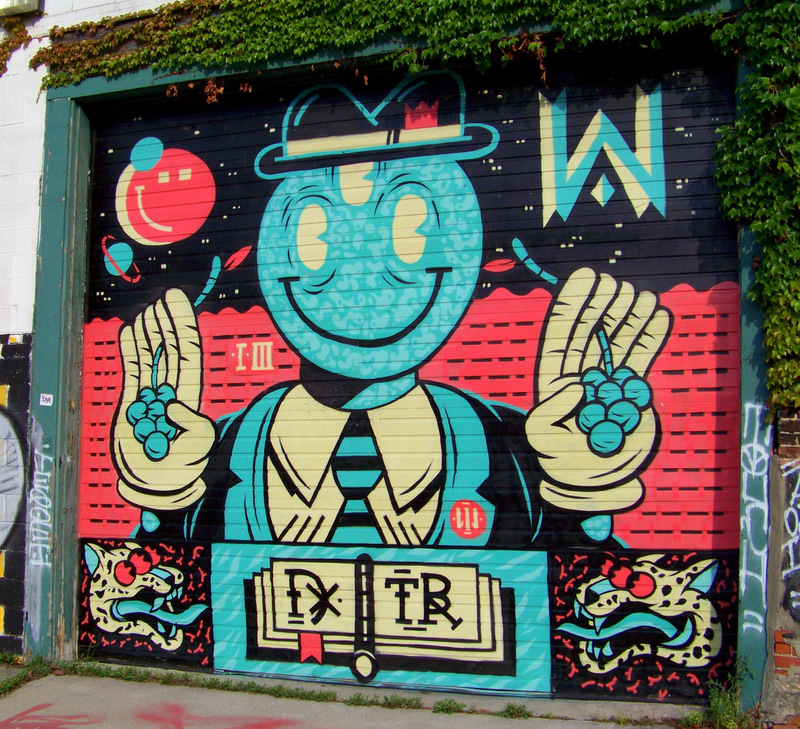 By “DXTR” of “THE WEIRD” Crew. 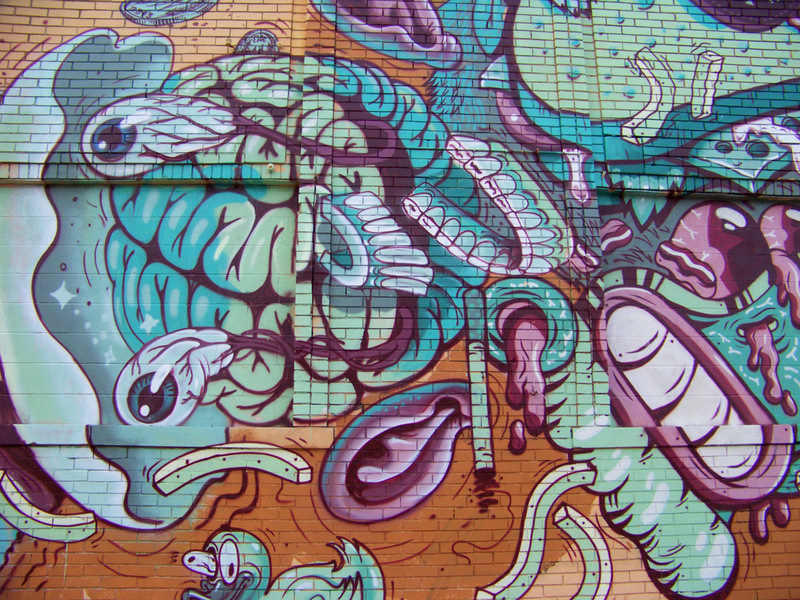 South wall of Greenbriar Foods at 1801 Division Street.